Finding an exciting, authentic restaurant can be a daunting task; however, downtown Acworth has a locally owned eatery that fits the bill like no other. 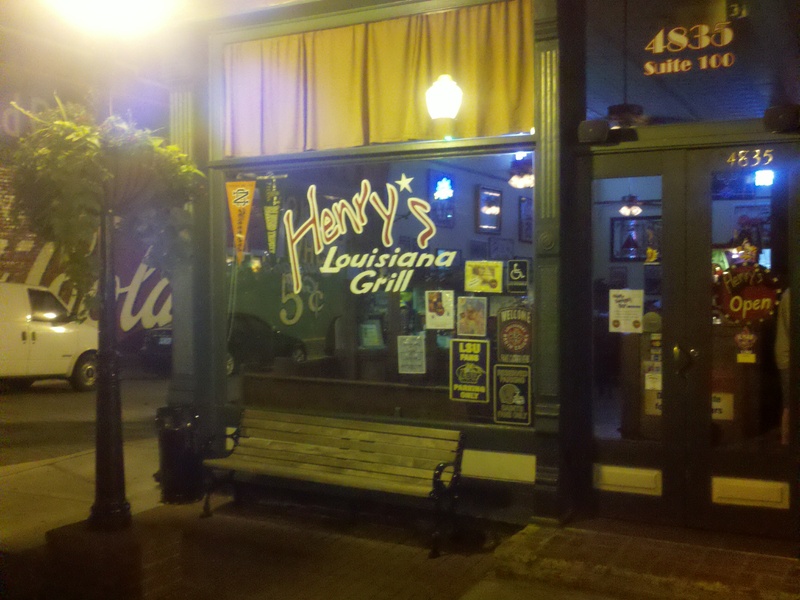 Henry’s Louisiana Grill is a Mari Gras party every night. Owners Henry and Claudia Chandler have established somewhat of a legendary landmark along Main Street in Acworth. 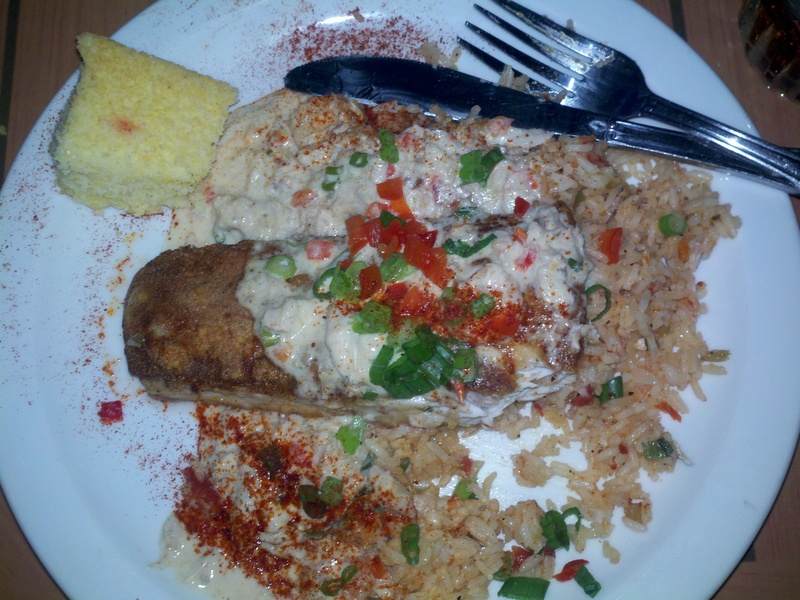 Patrons come for all over the metro area to dine at this Cajun kitchen. On a weekend, expect a wait of up to an hour; however, the food is well worth it. Chef Henry has developed a mouth watering menu with a festive, family friendly atmosphere. Chef Henry’s relaxed, comfortable personality shines through as he converses with his customer’s personally; making sure their experience is enjoyable. Not to say he doesn’t have his eye on the kitchen; several times I spotted him working the pass and overseeing quality control. Eating at Henry’s is a culinary delight. Although not my first time at Henry’s, tonight I started with the Hot Chili Gator, which is flash fried then tossed in a hoisin and topped with remoulade – outstanding! The gator was tender and battered lightly; their signature remoulade is top rated. Entrees include a side Caesar or side House salad. My house salad was crisp, cool and a great contrast to the spicy gator. By the way, guests receive the most succulent, soft – almost dessert like – cornbread, with their meal. Tonight I had the chef’s special “Catch 22.” It was an incredible pan seared (or blackened) mahi-mahi with Henry’s special Cajun cream sauce, with small shrimp and crabmeat. The fish was cooked to perfection; light and juicy, severed over rice, probably the best dish I have ever consumed at Henry’s. I expressed my delight to Henry himself as he proclaimed, “we never overcook fish here.” My husband ordered the Jambalaya, Creole style rice with seafood, andouille sausage, peppers, onions and celery. Deliciousness on a plate, however, such a large portion…a take home box was necessary. Henry’s signature dish, Louisiana Ooh La La was not ordered tonight; however, plenty of servings were whisked out of the kitchen. Named as one of the top 50 dishes by the Atlanta Journal Constitution, it is oysters, shrimp or crawfish, flash fried and tossed with tasso, spinach and roasted garlic in Henry’s Cajun cream sauce, severed over bread or angel hair pasta – it is one of the restaurants top sellers. Reasonably priced, two can eat at Henry’s for around $40 (excluding drinks). A kids menu is available and Henry’s now has a “Big Bayou Brunch” every Saturday from 9 am – 11:30 am. Henry’s Louisiana Grill is more than a restaurant; it is a neighborhood gathering place, where Henry makes everyone feel important, not just with his irresistible dishes, but also with his charismatic style in himself and his restaurant. Who knew that a Cajun restaurant could hold such charm? well written and makes me want to go there again.